The Office of National Drug Control Policy points out that heroin is highly addictive. It is one of the fastest acting of all the drugs available, and this is one of the reasons that it can create such a strong desire in users. Heroin is a highly addictive opiate - and one that continues to see a steady level of use. In the last month, according to the National Survey on Drug Use and Health, 338,000 people have used heroin. Overdose (that can result in death). Addiction (that can lead to emotional and physical health problems). Infections (including HIV/AIDS and hepatitis) from dirty needles. Pregnancy problems (including low birth weight, birth defects and spontaneous abortion. Despite these dangers, however, it is very difficult to overcome heroin substance abuse. One of the reasons is that there are severe withdrawal symptoms to be faced when someone quits using the drug. When someone uses a drug like heroin a lot, the body builds up a tolerance. This means that the body becomes used to the effects that the drug has on it. As the body becomes used to the drug, it takes higher and higher doses of heroin to get the same effects as before. In some cases, despite the terrible price exacted by the drug in the long run, heroin becomes necessary for the body to function. After a tolerance to heroin develops through repeated substance abuse, it is more difficult to break the cycle of addiction. This is because withdrawal symptoms manifest when the drug is no longer used. 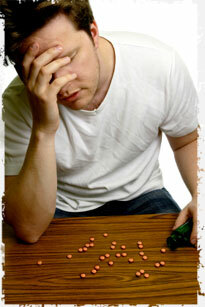 Withdrawal symptoms are signs of the body's reaction to the fact that the drug is gone. It is the body's way of letting the user know that it wants the drug. In such cases, the body has been programmed to become dependent on the heroin. In such cases, withdrawal symptoms make it especially difficult to end a heroin substance abuse problem. Pain in the bones and in the muscles. Muscle spasms (especially kicking motions). For most heroin users, the withdrawal symptoms reach their worst between two and three days after finishing the last dose. However, withdrawal symptoms can last a little more than a week. It is important to note that on a certain level, craving for the heroin never goes completely away. A craving can be triggered months after someone feels they have control of the heroin substance abuse problem. While heroin withdrawal is seldom fatal, it can cause death if heavy users who are in poor health suddenly stop taking the drug. It is worth noting that alcohol withdrawal is often considered more dangerous. In most cases, heroin withdrawal is treated by slowing blocking the body's reaction to the lack of the drug. Most of the time this is done with the help of specially devised opiates. Methadone and buprenorphone are some of the most popular drugs used to help battle heroin withdrawal symptoms during detox. One of the most popular methods of helping someone overcome heroin substance abuse addiction is through residential treatment facilities. These detox centers are designed to provide round the clock care to those who are suffering from heroin addiction. This care is designed to help someone stop using heroin by treating withdrawal symptoms. Additionally, residential treatment facilities also help heroin addicts by providing support to help them remain "clean," as well as teaching psychological techniques that can help overcome heroin substance abuse problems. The idea is to help the body rid itself of the dangerous drug and then create fortifications so that the addict does not begin using heroin (or other drugs) again. Heroin withdrawal symptoms can be very discouraging. Their severity can make it difficult to stop taking the drug. They defeat many heroin addicts time and time again. But with proper treatment and help, it is possible to control a heroin substance abuse problem.